When looking to buy a property you will have the option of buying a condo, an attached townhome, or a single family detached home. Each option has it benefits and can appeal to different buyers. The ownership structure of a condominium is such that you own your individual unit and have a shared ownership of any common areas such as a lounge or pool. Condos typically have higher Association fees than attached or detached homes but in return lower maintenance costs. In a traditional condo you will not have any yard, roof, or exterior building maintenance for which you are specifically responsible. Additionally the Association fees will typically cover a few of the utilities such as trash removal and water. This makes condos very appealing to several different categories of buyers. First time homebuyers can find the often lower price point and fewer cost variables appealing. Investors love condos for their easy rentability and lower maintenance. Those valuing walkability may opt for a condo near downtown or the university. Condos are also very popular among those downsizing. As always it is important to review the Owners’ Association documents carefully to make sure you can use the condo as you wish. Some may not allow pets while others may not allow you to rent the unit. Townhomes are traditionally set up where you enter on the ground floor and own all the way up to the roof. They typically offer more square footage than a condo and can accommodate more bedrooms and bathrooms. These attached homes will always share at least one wall with another unit. It is dependent upon the specific Owners’ Association guidelines how exterior maintenance is handled. Some townhome style properties are actually in a condo ownership structure so review carefully. The higher the Association fees the more that should be covered. With attached homes it is possible to have a garage and even a small yard to yourself. A bigger bang for your buck and moderate maintenance can make attached homes appealing to first time homebuyers, families, and downsizers alike. If you want acreage, a lot of square footage, or a one of a kind of home then a detached house is the way to go. Within the category of single-family homes there are many different directions you can take. If you appreciate the privacy of a detached home but don’t want the additional maintenance you can choose a subdivision with an Owners’ Association that takes care of all of the yard work. Alternatively you may want land for horses, gardening, or just the feeling of being away from it all. Those looking to design a truly unique home will also choose detached whether for new construction or rehabbing and adding on to an existing structure. If you are still unsure which option is right for you, contact me today and we can start looking. I was having lunch the other day with friend and local home inspector Robert Foster of Trebor Home Inspections and we were talking about how there are a lot of misconceptions about home inspections. 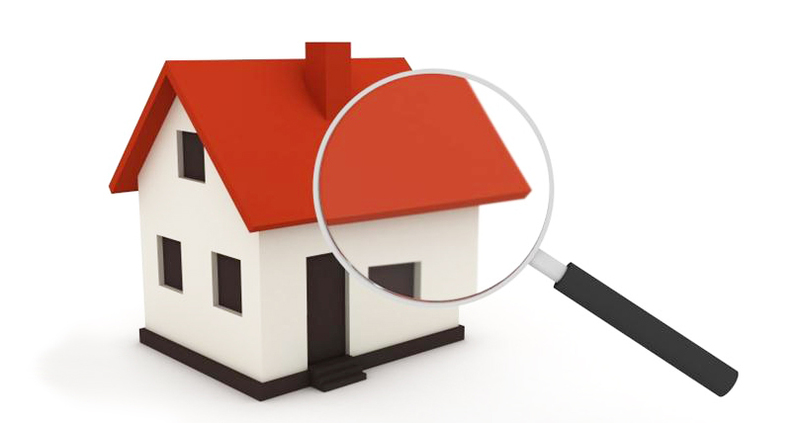 A home inspection is primarily about providing information. This is the buyer’s opportunity to learn as much about their potential new home as possible, from an experienced professional. Home Inspections are not code compliance inspections. If a house has more than a few years on it, there will likely be items that are not up to current code but are still functional. A thorough home inspection provides a handbook to your future home. The HVAC might be fully functioning but could be nearing the end of its expected service life or the attic door isn’t insulated causing conditioned air to escape both in the winter and summer. These are the sorts of things that a home inspector may point out that are good to know but shouldn’t affect the purchase of the home. Home inspection protocols and regulations vary from state to state. In the commonwealth of Virginia, Home Inspector certification is voluntary with no report standardization, which makes for a wide variety in the services rendered by the profession. Before you get worried about how to find a thorough home inspector, remember your real estate agent has had the opportunity to vet inspectors through previous transactions and can recommend an inspector they trust. Buyers, when inspection day arrives do not be shy. Whether this is your first home or you are an experienced home buyer you should ask every question that comes to mind, because every house regardless of age has issues. Home inspectors are there to serve you by answering all of your questions while conducting a thorough and unbiased evaluation of the house. A thorough inspector will point out everything they discover about the house even the small maintenance issues, which can add up to quite a number of items. Try not to get alarmed by the maintenance items. While you are negotiating through the inspection contingency try to stay focused on the larger items that might be deal breakers if the Seller doesn’t agree to correct them or give you a credit to have them corrected yourself. This is a key area that your agent will help you navigate. I always go through the inspection report with my clients to help them evaluate each item found before deciding what we will be requesting. Sellers, if the buyer has made a request for deficiencies to be corrected you will also receive a copy of the inspection report. The inspection report can be alarming to someone who has been living in a house for years unaware that deficiencies were present. As you move forward try to focus on what you as the seller would have to correct for any reasonable buyer. There are few problems that can’t be fixed and you are very close to selling your home. If you have any further questions feel free to contact either me or Robert. We both are more than happy to help. Finding the right gift for everyone on your list can be exhausting but luckily there are so many fantastic options in Charlottesville you are sure to find a fantastic gift with a local story. Moms can be tricky to buy for but something handmade is always a hit in my experience. Luckily there are a few options for making a gift that not only comes from the heart but is truly beautiful as well. Blow Your Own Glass Ornament at Sunspots Studios! This fantastic gift option allows you to put your own spin on a truly beautiful piece of artwork that you can enjoy every year when decorating the tree. Ornaments cost $40-45 and children age 5 to adult can participate. If ornaments aren’t your thing, The Glass Palette has supplies for you to make jewelry, dishes, and artwork. Another option for crafting your own gift is Wine and Design. Started as a BYOB step-by-step guided painting class it now offers kids classes too. Join one of the prescheduled classes or get a group together and pick what you want to paint. You’ll love the class and leave with a beautiful piece of artwork for mom. If you think she would enjoy the painting herself a gift certificate would be a great option too! Dads can certainly be tough to buy for so I find it is best to stick to the basic pleasures in life. For starters, food is a generally safe bet. When it comes to food there are few gifts more decadent than A Year of Cheese from Feast!. Each month the recipient goes to Feast! and chats with the cheese monger about this month’s selection. Not only are you giving the gift of fantastic cheese but also an education on how to pair it with other food and drink. If the $200 price tag is above budget consider one of their many other gift boxes. 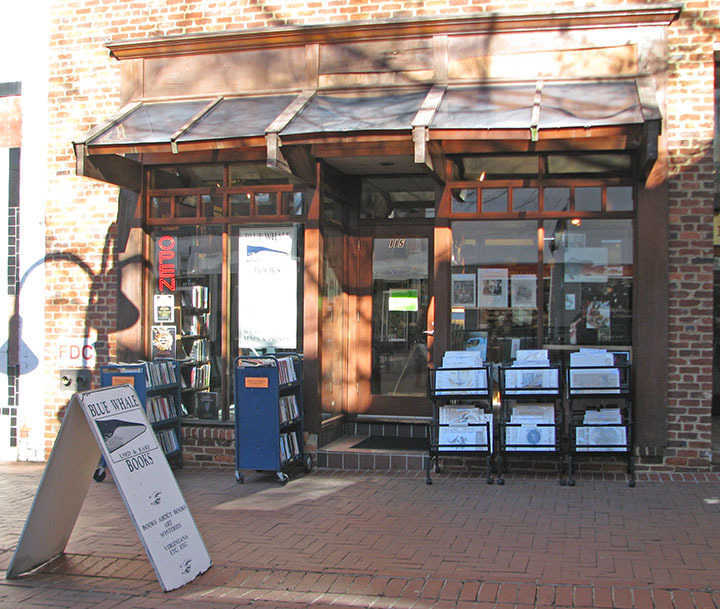 For the scholarly father, pop into Blue Whale Books on the Downtown Mall. Here you can find special edition books, artwork prints, and beautiful maps. The owner is almost always there and incredibly helpful. I just heard they got a new shipment in of Virginia maps so hurry in before they are all gone. Check out the local toy shops for the children in your life. Shenanigans at 601 West Main Street is where I bought my niece her first baby doll. 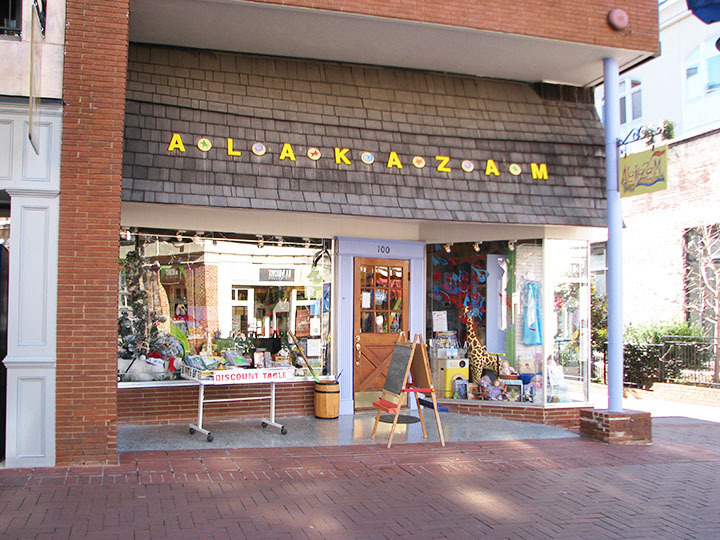 Alakazam on the downtown mall always has loads of fun gadgets and gizmos for the creative child. O’Suzannah just off the mall on 4th street northeast has curated a unique and aesthetically sophisticated collection of children’s books and clothing. One of my most memorable Christmases was coming down to see a shiny red bicycle with my name on it. If you are looking to give a bike I suggest Blue Ridge Cyclery at 1039 Millmont St.
Often the most fickle demographic, teens and young adults can prove difficult to shop for. Fear not though as several local shops can help you find the right gift. This is a very active age for most people so heading to Ragged Mountain Running Shop is a safe bet to find something they need. They have a wide assortment of athletic clothes and shoes as well as running accessories like belts, water bottles, and gps watches. If you have a hunter or fisher in your life consider The Albemarle Angler to find the right gift. For the preppy on your gift list you can’t beat Country Club Prep founded by two UVA alum who decided to put their first brick and mortar store on Elliewood Avenue on the corner. Other fun shops around this area include Duo, Finch, and Southern Proper. Every year we celebrate not only with my family in Charlottesville but also make a trip to visit family in Louisiana. It has now become a tradition to bring down a basket full of local goodies not available there. We include local candies, jams, granola, sauces, peanuts, honey, you name it! It is a fun way for us to share our daily favorites with them once a year. Just stroll through the local food shops of Main Street Market to fill up your basket at such shops as The Spice Diva, Gearhart’s Chocolate, Albemarle Baking Company, and of course Feast! Another favorite for our out of town family is local jewelry. Sterling silver dogwood flower earrings from The Virginia Shop were such a hit we got a necklace the next year. Being UVa alums there is always a stop at Mincer’s to gear up on hats, T shirts, and socks for the family to wear as they root on the Hoos from afar. Last but not least there are always some new local craft beers and wines to share with the adults as well. Beer Run offers perhaps the most extensive selection in town! Sammy Snacks is sure to make any pup in your life very happy this holiday season. Visit them at 1055 Millmont St. Animal Connection is another great shop to pick up something for your furry friend. They are located at 1701 Allied St behind Cville Coffee. With the holiday season comes all of the holiday parties and a good guest never shows up empty handed. There are several places in town to pick up the perfect hostess gift. Again, Beer Run can help you select the perfect wine, beer, or cider for your host. Gearhart’s Chocolates are an irresistible gift anyone would love to receive. Visit their shop at 416 West Main Street next to Albemarle Baking Company. 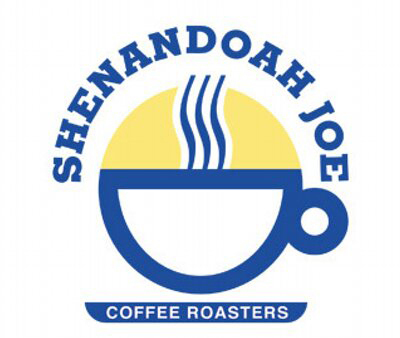 Locally roasted coffee from Shenandoah Joes can be a nice gift as well. If you are still looking for ideas here are a few more general suggestions most anyone would like. Two tickets to a show at The Jefferson would be a great idea. Anyone who can appreciate some funky 80s music and a good time would love tickets to New Year’s Eve with Love Canon. Other shows coming up are Corey Smith and Steep Canyon Rangers. Gift certificates for an evening out are a great idea. I don’t know anyone who could resist dinner at C&O, Mas, or Fleurie. An exquisite pen, stationary, or journal can be a lovely gift for anyone. Visit Rock Paper Scissors in their new location on the downtown mall. A massage, facial, or pedicure from CitySpa is an unexpected treat. All of these options make shopping local a cinch so get out there and spread some cheer. Happy Holidays! In my mind the holiday season in Charlottesville hits full steam as a hush comes over the town as students take final exams and return home for a well-deserved winter break. Meanwhile magical events are unfolding all over town. 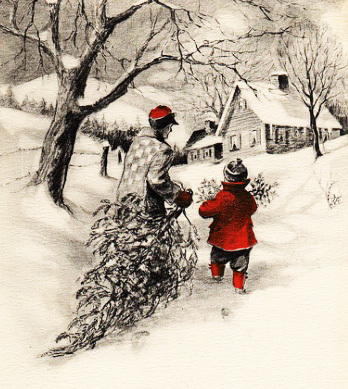 Here are a few ways to celebrate the season this December. For many this is a family tradition. Luckily we have several fantastic options for you to select the perfect tree for your holiday celebration. You will find Pre Cut and Living Christmas Trees at AM Fog. 9264 Critzer Shop Road, Afton, VA 22920. Phone: (540) 456-7100. 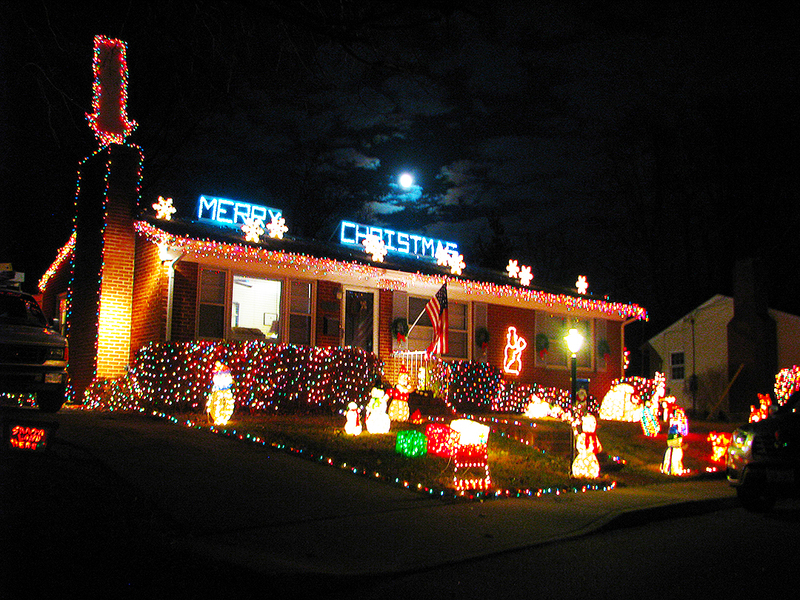 The Gingerbread Express Light Show is a great way to see the best neighborhood light displays throughout Charlottesville. Tours are the 12th, 13th, 19th, and 30th at 6, 7, and 8 p.m. Guests will meet with Mrs. Claus prior to the tour at the Virginia Discovery Museum and enjoy hot cocoa and cookies. Tickets are $5 on sale now at the DBAC office located at 108 5th St. NE or by phone at (434) 295-9073. Children 2 and under sitting in the lap of a ticket holder are free. This is too fun! Black Friars Playhouse is putting on A Christmas Carol. It doesn’t get much more classic than this Charles Dickens tale. More information here. Charlottesville Ballet is performing The Nutcracker Suite for your enjoyment on the 20th and 21st. Get ticket information for this timeless ballet here. Montpelier offers many holiday events including a candlelight tour. This event is just filled with Christmasey goodness. The schedule of events for the 13th includes a visit with Santa Claus, Candlelight tour with James and Dolley Madison, and several performances including harp, a capella, and vocal ensemble. Get your tickets here. See how Jefferson celebrated the holidays with Monticello’s holiday evening tours. This tour offers a rare glimpse at the historic home after dark and includes a tour of the dome room. Get your tickets before it sells out! Charlottesville Municipal Band will play December 14th 3:30-5:00 at Martin Luther King Performing Arts Center. Admission is free with a donation of non perishable food item. 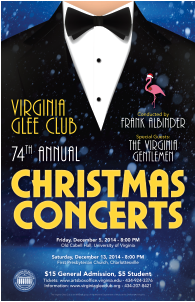 The Virginia Glee Club’s Annual Christmas Concert is the 13th at First Presbyterian Church. More information here. This is just a small collection of all of the fun happening in Charlottesville this season. Continue to explore other events through local publications such as Charlottesville Family, Cville Weekly, and DBAC. 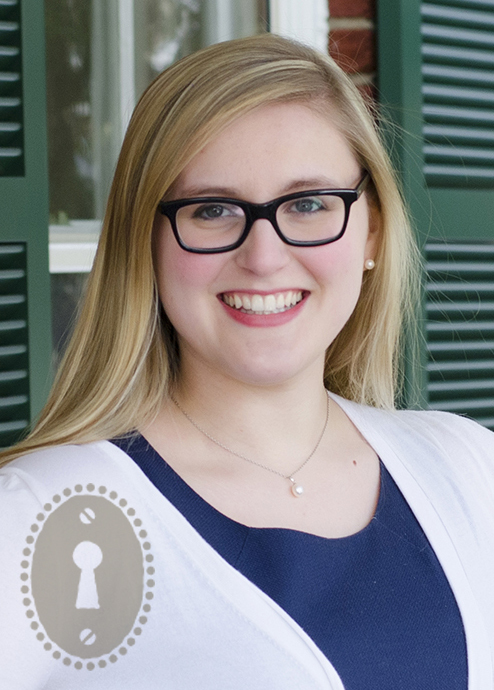 Anyone who knows me at all can tell you that I loved my time at UVa more than any person should. I jumped at as many opportunities as I could joining a sorority, internships, being an Orientation Leader, working in labs, studying abroad, volunteering with Madison House, you name it. Though I moved to Charlottesville in high school, it was in my time at UVa that my love for this town really grew and I have appreciated it even more since I graduated. Since it was just Homecomings Weekend I thought it only appropriate to have some of my fellow ‘Hoos at our firm share how they came to love Charlottesville. Here is what they had to say. When I was at UVA I had a VW convertible. No matter the weather, my friends and I always had the top down, even if we had to have the heat on. I remember some of the most spectacular views on our “country drives”, and that is really what made me fall in love with Charlottesville. 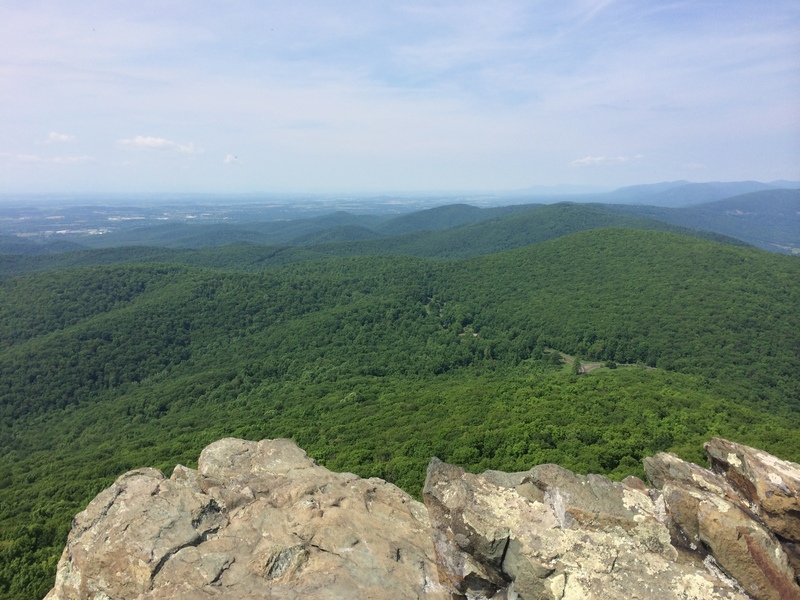 I got to know every inch of Albemarle County all the way up to Skyline Drive, and to this day, one of my favorite things to do is take a “country drive” and enjoy the beauty of the area. My husband, Peter and I, feel blessed to have had the opportunity to move back here and raise our children. My father and brother preceded me as hometown Wahoos and I really had thought I was going to break the mold but after being away from the area and homesick during boarding school, no other college or University really had a chance. I REALLY fell for the UVA/Charlottesville dynamic 2nd year, when I lived in a house on Lewis Mountain Road with 8 friends that I made 1st year. What could be better than walking to class, walking to football games, walking to boyfriend’s houses down the street… and making lifelong girlfriends all the while? Having grown up in the Charlottesville area, going to UVA was a dream that many children around here do not get to enjoy as reality. As a student of UVA, I learned a whole new facet of Charlottesville. Meeting people from all walks of life, making lifelong friendships, and learning at a top notch school made the UVA experience one that I will be eternally grateful for. Since graduating, life has presented multiple opportunities to leave but my heart and soul are in this town. My hopes are that one day my children may also be able to call themselves UVA graduates, enjoying the dynamic this university offers to the great City of Charlottesville. It is easy to fall in love with Charlottesville as a student- beautiful grounds, life long friends, and world-class professors. My roots of seven generations in cville make it easy to call home. This beautiful part of Virginia enriched my love of all things outdoors, but in particular my love of skiing, which took me all over the world. 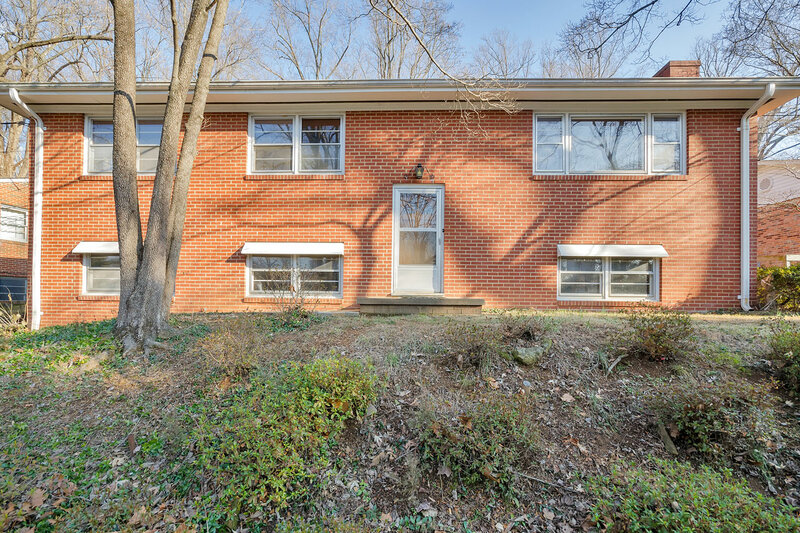 Upon my return to Cville, I never imagined that I would be working side by side with one of the top Realtors in the community for over thirty years Punkie Feil, my Mom (who happens to be a double Hoo). We enjoy the rare privilege of being mother daughter business team. My husband, also an alum, is thrilled that our daughter, 2 years old, has mastered ‘The Good Ole Song’ just in time for football season…Wahoo Wa! Originally from Baltimore, my father fell in love with Charlottesville while playing lacrosse and studying at UVA in the early 60’s. 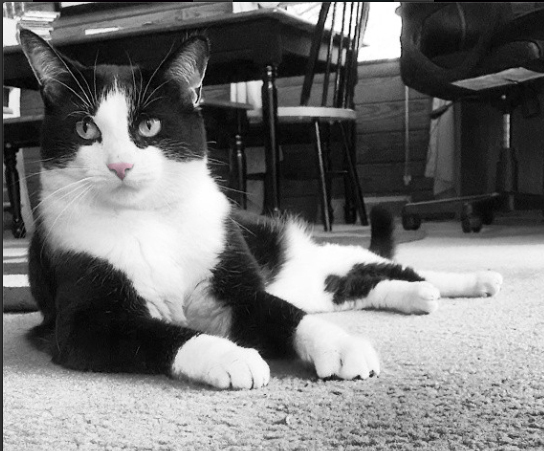 He was determined to make Charlottesville his home. I was lucky enough to grow up here, attend UVA and raise my children in such a wonderful community. I remained in Charlottesville after graduating from UVA due to its incredible sense of community and philanthropy – folks like to give back here. This is truly a wonderful locality in which to raise a family, and we are blessed to be grounded by The University and its offerings. 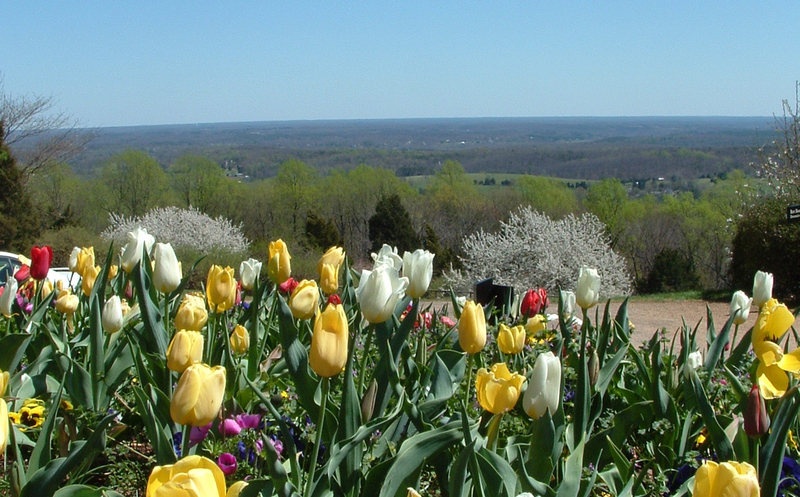 Central Virginia enables us to enjoy four seasons, natural beauty and history, sporting events, cultural diversity, and we are within three hours of just about everything. Friends return to visit, and often comment about how fortunate I am to be a native and to be able to call Charlottesville home. I agree – I would not consider living anywhere else. My love of riding horses began at a very early age in Long Island New York. 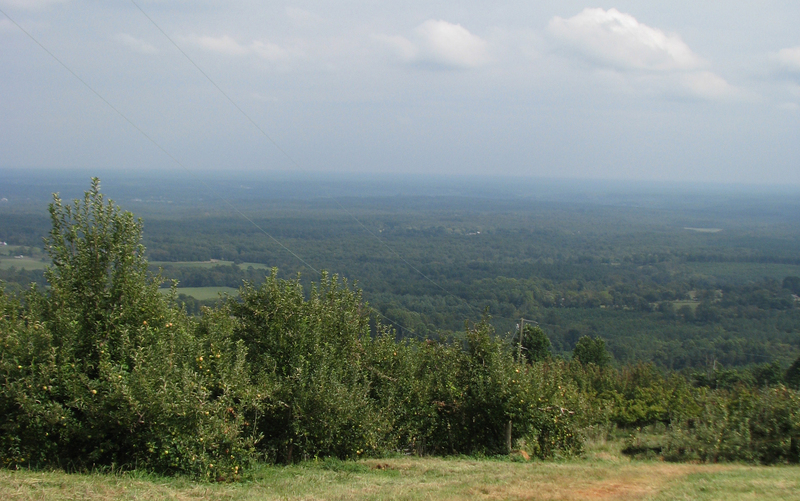 It was riding that brought me to the more open spaces of Virginia more than 30 years ago. The University of Virginia was the perfect environment for me to pursue my studies while successfully competing on the A show circuit between Florida and New York. The ability to go between a culturally rich city and beautiful open countryside, make Charlottesville and “The University” a unbeatable combination! I came from Colorado to play basketball for and attend school at UVA. I had spent very little time on the east coast and was very excited for a new adventure. I was touched by the welcoming sense of community both at the university and in Charlottesville. I met so many fantastic professors and life-long friends as a student athlete, including my now husband. After we had children we decided that Charlottesville would be a great place to call home and raise our family. We moved back several years ago and have fallen in love with Charlottesville all over again. While we remain avid UVA sports fans, we have also enjoyed branching outside the university and experiencing all things Charlottesville from the great wineries and breweries, the many great restaurants, the beauty of the outdoors, and of course the wonderful people. Each person’s story is different but what we all have in common is a love of everything Charlottesville has to offer and an inability to find anywhere better to live. If you want your own piece of Charlottesville, you know who to contact.